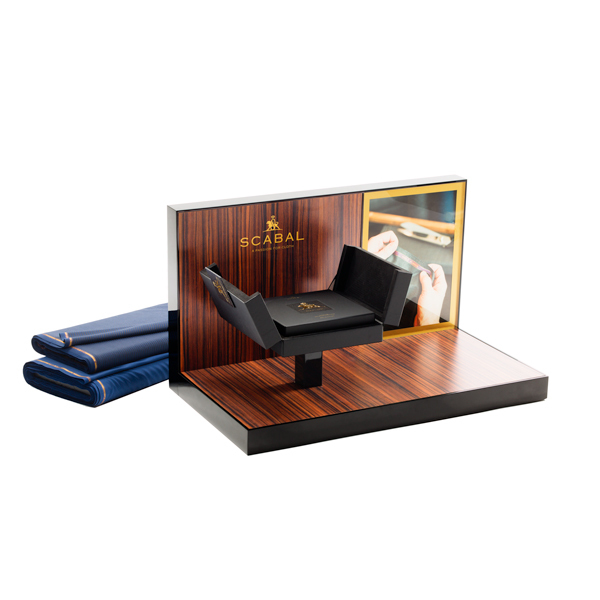 Design of the Noble Fleece display for renowned made-to-measure and luxurious fabrics house Scabal. On the display, developed for events in New York, Chicago, Paris and Barcelona, the Noble Fleece fabrics collection is presented in 2 handmade boxes, engraved with the golden Scabal logo. Display picture courtesy of Filip Vanzieleghem. Fabric picture courtesy of AWI.